Physical Therapy or PT is a popular conventional treatment procedure to cure and relieve from pain, injuries, and in recovery process after surgical process. 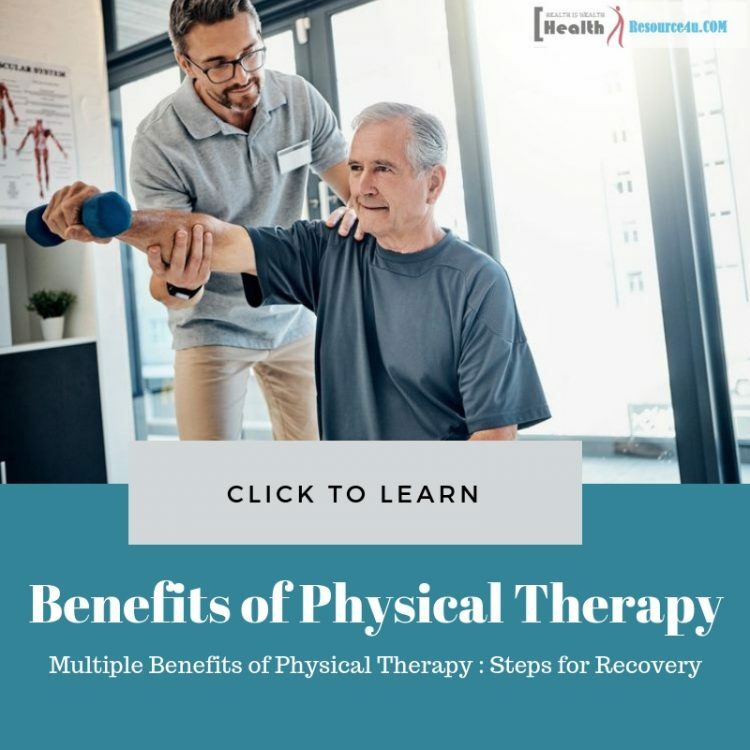 The multiple benefits of physical therapy make it suitable for people of all ages that is the reason it is the first choice of recommendations by the doctors to cure any type of medical health concern except few (where surgery is the only option). This treatment method offers multiple ranges of benefits with minimum risk factor involved in both diagnosing and treating several types of health conditions. It helps to restore the mobility and lost capability of the human body due to small to a major form of illnesses. A physical therapist will analyze your condition thoroughly and one the basis of that particular analysis they will plan a special therapy program where the patient also has to participate very actively. 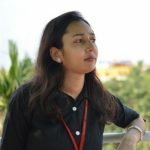 This means as per different health issues and concerns the therapy procedures step will vary from patients to patients which is the ultimate reason for the success of this technique. Though this treatment method takes time to relieve fully still it ensures complete relief at the end that is why it is preferred for treating those injuries, pain and other health issues which can be survived with the long term treatment methods like the PT. People who undergo this recovery technique or process recover their old functionality capacity, mobility; stamina and endurance powers better than before after completion of this technique. Also, it ensures that you won’t get any such injuries or fall, chronic diseases etc. in the future by strengthening and stabilizing all weaker portions of your body. This is the reason people who suffer from chronic pain or have normal mobility issue prefer physical therapy over surgery because of its effective result and popularity in reliving critical cases in the last few decades. Physical therapy is quite capable to heal and relieve from injuries and from severe pain issues where surgery is another option. So with this effective healing method, it saves you from going through invasive, costly and unusual surgery trouble and cares afterward. Moreover, even if surgery is must in certain cases there also a pre-surgery physical therapy will help you a lot by making your condition better before the surgery which will help the patient to recover faster with minimal pain and mobility issue. In any kind of injuries and chronic pain conditions, physical therapy is proved as effective and beneficial as a surgical technique. The conditions where you can preferably avoid surgery and opt. for the physical therapy techniques include spinal stenosis, rotator cuff tears, degenerative disk disease, knee osteoarthritis, and meniscal tears. It is really difficult to live relaxing and in peaceful mode, if consistently mild to chronic from pain occurs in any body part. Here the role and importance of physical therapy lie which treats the core area deeply and relieves you from such pain completely. Through different techniques and exercises of physical therapy, the patient not only gets relived out of chronic pain conditions but its effective procedures and exercise ensure that it won’t even occur in future if followed regularly in future as well. The therapeutic exercises and manual techniques including joint and soft tissue mobilization, ultrasound, electrical stimulation, and taping restores the muscles and joint function and reduces the pain within a few days. Physical therapy technique locates the weaker areas of the body and starts the full treatment plan for strengthening all these endangered points under its complete healing process so that future risk of injury can be prevented. The physical therapists are so well trained that just by physical examining of the skeletal or muscular weaker points of the body they can analyze whether it is prone to develop any injury in future or not. So accordingly they will prepare a proper therapy and exercises regimens in order to boosts and strengthen those weak joints and muscle groups of the body and save you from the danger of future severe injury due to fall or any other factors. The physical therapy is a proven treatment technique which not only relives from current health condition but also teaches how to give proper care to the body so that it would remain fit and prevents the recurrent injuries and impairment problem. The physiotherapist will guide you different exercise technique which will train your different body parts especially all vulnerable points so that there will be no risk of injury in these areas in the future. In this way, it ensures your total fitness and wellbeing which increases your year of longevity in a very healthy manner. The efficient physical therapy technique facilitates its patients to avoid using and purchasing costly prescribed medications by the doctors just like avoiding troublesome and costly surgery processes by curing all the pain areas with its planned individualized treatment methods. This is really an amazing benefit for the users of PT otherwise they have to rely their whole life on fixed medications as it happens in special medical issues where dependency on medications is life long. Moreover, as it is a totally safe procedure so there is no headache of any side effect as generally associated with most of the medications consumption. It cures the injury concern from depth by eliminating the underlying issue which causes to develop such pains in recurrent motion. Similarly, by strengthening the weaker areas of the body it eliminates the fracture and injury risk. In this way, it prevents the necessity of medications which are needed for boosting any weaker health issue or any recurrent pain, very proactively. This is really a great benefit to treat pain after surgery which exists for a very long duration developing the need for pills consumption such as opioids. That is why physical therapy is the first recommendation by the Center for Disease Prevention and Control as a safe alternative to most of the prescribed medications. After a serious injury or any surgical process often people loses their normal mobility and body balancing power. It becomes difficult for them to stand on their feet and perform little day to day tasks like walking, eating, cooking and controlling their body balance. Here the role of physical therapy takes its place as when an active intervention of therapeutic exercise and proper collaboration with the Physical therapist a designed treatment plan is started which helps in recovering the normal mobility of the patient as well as enhances the balance and coordination level of their body to prevent the risk of falls in future. It makes your life much easier and normal than before and enables you to perform all necessary tasks of your life without any worry of stiffness in body or risk of injury in future by strengthening all the weaker bones and muscles group of the body. Often a victim of stroke loses partial movement of their body parts and this doesn’t go off on its own even after the long period of stroke incidents. In this context, a patient can recover from his or her partial mobility trouble with the help of physical therapy. The PT helps the patient to reduce and remove the movement issue of targeted body parts by strengthening it internally and increases its mobility, posture and balancing level slowly and gradually. It makes the life of a stroke victim much easier and normal that they can do all their tasks independently without taking help of others. In the rehabilitation process or period of heart and lungs after a major heart attack, physical therapy helps a lot to make this recovery journey faster and successful. With its special treatment techniques, the affected person can perform the normal works of their life without any trouble in mobility and without affecting their internal health. Though the physical therapy, in general, remains as a part of the rehabilitation process after a heart attack but in some special cases a patient needs to take separate PT treatment as per their condition. It strengthens the condition of the patient and reduces the risk of heart attack in the future. Physical therapy is also effective in managing diabetes and vascular health conditions. It reduces the sugar level and helps to maintain it in the normal state with its special physical therapy exercises which are based on individual case scenario. For managing the level of diabetes the best combination of aerobic workouts and strength training workouts are instructed to the patients in order to uplift their overall health along with managing the blood sugar level and vascular conditions. With age, the normal bone density of people started to reduce which slowly gives birth to several bone-related health concerns like arthritis, osteoporosis, and the necessity of joint replacement etc. However, all these aging-related issues can be controlled and well managed with an active intervention of physical therapy treatment method. This safe and effective conservative treatment method helps in easing joint pain by strengthening and boosting the bone density with therapeutic exercise and other special treatment techniques of PT. Also, it helps in the recovery journey after a joint replacement and ensures the normal living by easing all aging-related troubles if followed consistently. Physical therapy plays a crucial role in easing several types of women’s issues in a very safe and effective way. Above all, its benefit for the easy delivery process and post-partum care is really remarkable. Apart from this, it is also beneficial in treating many types to major women’s health concerns like breast cancer, pelvic pain, urinary incontinence, lymphedema, fibromyalgia, constipation etc. Physical Therapists are trained and expertize doctors who treat several kinds of health issues out of which pain and injury management is foremost with its special treatment techniques. They understand the special condition of the patient based on their past medical history, lifestyle and other essential factors and accordingly prepare a treatment plan to relive their condition without the intervention of surgery and prescribed medications by the doctors. In the physical therapy method in general following steps and treatment, measures are taken in to account for relieving pain, injury and other health issues. A trained physical therapist is able to diagnose your injury and ailments with his special skill and prevent the necessity of revisiting a doctor to diagnose your condition. They can assess your injury depth and proactively guide you for your recovery plan. This saves money for a doctor visit and recommended diagnosis expenses by doing two things (diagnosis plus treatment) within a single cost incurred and visit. A physical therapist doesn’t follow a monotonous treatment plan for every individual case. When a person visits for the treatment of any pain or for an injury issue they thoroughly understand their condition. On the basis of special case detail, they create an individualized treatment plan. This is the reason this conventional treatment technique is the first reference by the doctors for easing from any long term chronic pain and for the rehabilitation after a surgery or any other major health issue where mobility get affected primarily. The physical therapist will use massaging in the regimen of healing pain, injury, and soreness of the affected area. The massaging given by them will not only help you in relieving from the pain and hurt incurred out of injury or fall but also it will ensure full safety which is not possible in the cases of self- massaging at home. In this context, the patient should clearly inform the therapists about their self-care measures if they have done something before coming to them. This will help them to analyze the real condition and accordingly the massage session will proceed. In the stretching technique of PT, the tightness and soreness of all stiffed muscles and joints areas are released to ensure swift mobility and flexibility of these tight joints and muscle groups. This enables the patients to perform all normal activities of life without putting much stress and energy on their muscles and joints group. A patient after completing of PT treatment becomes able to walk, climb, and work general day to day’s activities of their life normally. In the physical therapy treatment procedure, the focus lies around strengthening and stabilizing the core areas of the body so that it won’t get a victim of chronic injury or overuse syndrome. The core areas of the body like pelvis and back are the primary target in this process. With special exercise programs, these areas are strengthened fully such as pilates exercise program. This exercise will boost and stable these primary core body parts and make it stable. This is the reason even athletes choose pilates as the first choice of their fitness regimen. For warming up and cooling off different body muscles or an injured muscles ice and heat application techniques are used in the physical therapy. This technique helps in stimulating the blood flow and reduces swelling in the affected area. This is one of the important aspects of the whole therapeutic treatment method which is only done by the trained physical therapists who knows well when to apply heat and when to apply cold. In the electrical stimulating technique electrical current is given to the affected area which stimulates the blood flow in the tissues of the affected zone which helps in relieving pain and soreness drastically. In this therapy, the alteration of nerve conduction is done which further alternate the muscle contractility. The ES technique helps in easing chronic pain issues. In the ultrasound PT technique, high range of sound waves is given to the deep tissues inside the body which helps in stimulating these tissues and increases the blood flow in it. With high stimulating and raised blood flow pain is relieved in a very safe and efficient manner. The awareness of all these multiple benefits of physical therapy really helps a lot for anyone before deciding any treatment plans for a certain health issue, as because this much safety and cost-effective total healing are hardly possible through any other therapy or treatment method.